At least 440 hours of classroom based training including lectures and a minimum of 140 hours of practice with Montessori materials under supervision. 210 hours of observation and vocational placement in Montessori settings. The child’s physical development, the radical changes that take place as opposed to the earlier age group; the psychological development of the child (tendencies/sensitive periods) compared to the earlier child; the continued development and growth of the child as a builder of the human personality through the use of the human tendencies and psychological characteristics particular to this age group. Reviewing the Human Tendencies and Four Planes of Development—the use of imagination and the special characteristics of the child for exploration with the reasoning mind; the meaning of Cosmic Education and what it offers to the child; freedom and responsibility; “going out”, its importance and practicalities. Review of the development of language in the child; the importance of language in the development of intelligence, vocabulary development; further extensions in reading; language exercises suited to the ‘sensitivities’ of the child of this age group, leading to reading with understanding or total reading. The following items are covered: the story of language, the history of writing, word study, grammar boxes and related classification, from short stories to composition, structure of paragraphs and composition, appreciation and development of style, logical/sentence analysis, analysis of sentences (simple/compound/complex), history of literature. The development of the Mathematical Mind, indirect preparation leading to abstraction in mathematics; the purpose and use of the mathematical material. The following items are covered: The story of numbers, continuation of hierarchy of number—long multiplication/division; laws of operations; multiples, factors, divisibility; group division; fractions—both vulgar and decimal and their related operations; squares/cubes of numbers; powers of numbers; bases (other than 10); from squaring to square root; from cubing to cube root; signed numbers; measurements; algebra; word problems. Equal, similar, equivalent—concepts; exploration with constructive triangles; study of polygons and circle/angles/lines—in all their details; equivalence of plane figures; area and related formulae; volume, from equivalency to calculation of volume and formulae. Geography, biology, history and music are given as a framework of human needs in the natural and cultural environment and therefore for the child’s exploration through stories, experiments, charts and activities. Creation of the earth. Composition of the earth. The movements of the earth and their consequences. The work of air/water. People living in the different zones. Interdependence of humans in society and economic geography. Geography, biology, history and music are given as a framework of human needs in the natural and cultural environment and therefore for the child’s exploration. Areas covered in biology include the prepared environment in botany; and realisation of the needs of the plants. The story of plants—function of leaves, roots, stems, flowers, fruits and seeds and their varieties. In zoology: story material on animals, examination of body functions, classification of plants and animals, notes on ecology. Geography, biology, history and music are given as a framework of human needs in the natural and cultural environment and therefore for the child’s exploration. Areas covered in history range from geology to the coming of life and include the first and second time lines of early human beings; the growth of culture. History charts - fundamental needs, research (question) charts and migration charts. Representation of time. Geography, biology, history and music are given as a framework of human needs in the natural and cultural environment and therefore for the child’s exploration. Areas covered in music include listening, movements, singing, instruments, notation, advance work in rhythm, and the tone bars. 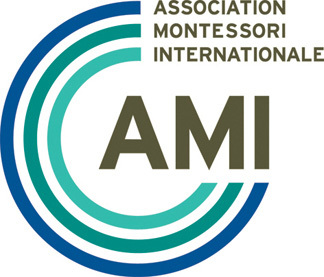 Supervised Practice with Montessori didactic material and pertinent activities are conducted under the supervision of the Director of Training and directed by AMI qualified staff. A minimum number of hours of practice is compulsory (140) as stated in the AMI Agreement. Whenever possible more hours of practice are recommended. Demonstration of the use of Montessori material set within/against the background of Montessori child psychology; special characteristics of these—as keys to culture as opposed to didactic materials. Students are to observe in classes with an AMI directress. Daily observations for at least 3 hours per day are scheduled over a period of weeks to meet the minimum number of hours stipulated (90). Students are required to write reports on their observations, which are reviewed by and discussed with the Trainer(s). Members of the pedagogical staff visit the students while they are observing in order to provide direct insights into the observational process in the schools. Students are to practice teach in classes under the supervision of experienced AMI directresses and the trainer(s) of the Course: 120 hours of supervised teaching practicum in a Montessori Primary (Elementary) school interacting with children between 6 and 12 years of age. The trainer(s) observe the students while in practice teaching and review the progress of the students with the classroom directress and with the student. A written report is made. Each student shall compile an individual manual for each area of the Course. These manuals should include an introduction to each area; a description of each piece of material; the age of the child working with the material; and the aims and purposes of the material. The manuals are the student’s personal record of their course work; the work is supervised with a final assessment at the end of the Course. In order to clarify the basic points connected with Montessori child psychology the students are to write essays on topics supplied by the Course. Each student will prepare 9 manuals/albums: Theory, Maths (2), Language, Geometry, Geography, Biology, History, and Music and Art. Under supervision students will also engage in material making. It consists of time-lines and charts for classroom use. All such materials are checked by the Trainer(s).